Police! Hands Up! New to the force, you'll walk the beat and feel the heat... but its not the kinda heat you're gonna like! Gang Members, Armed Robbers, and other street criminals may prevent you from making detective, better call for back-up. Get promoted and you'll go undercover to break up car thief rings and drug dealers. 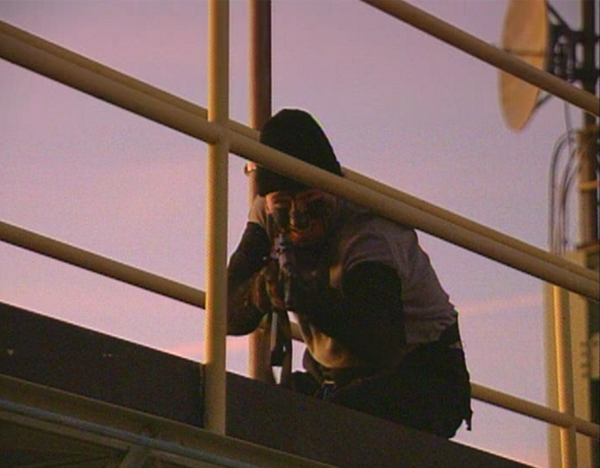 SWAT will be your ultimate assignment in confronting bank robbers and terrorists. 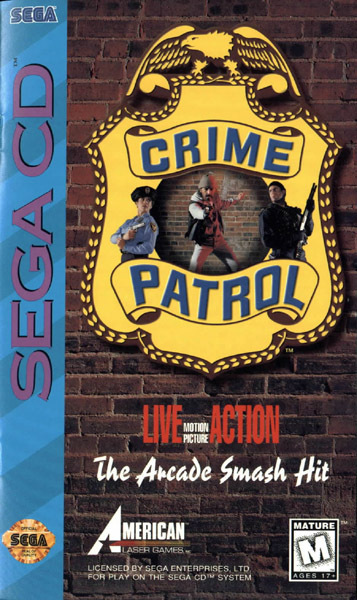 • Crime Patrol was originally released as an arcade laserdisc game. • A sequel called Crime Patrol 2: Drug Wars was released in 1993. • Developer American Laser Games also made the FMV shooters Mad Dog McCree, Mad Dog II: The Lost Gold, Fast Draw Showdown, The Last Bounty Hunter, Space Pirates, and Who Shot Johnny Rock?. Shoot before you get shot!